We hope you had a fabulous Labor Day! The Official Start of Quilting Season is here and we want to celebrate with our Fall Frenzy. On Thursday, September 15 from 6:00 pm to 9:00 pm come enjoy our Featured Guest at a trunk show. 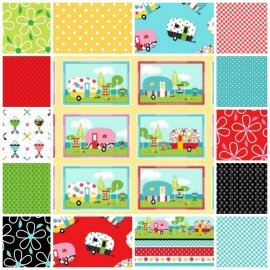 All Fabric (1/2 yard cuts or more) 20% off and all remnants are 50% off. There are so many ideas to get ready for the Holidays and also to enjoy during the cold winter months. We will be having a special guest on September 15 for a trunk show. We are so excited to have Emily Herrick. She is the pattern designer of "Big Game". Emily Herrick began her creative journey at a young age, drawing on her bedroom walls. Thankfully her talent has taken a much more productive turn. 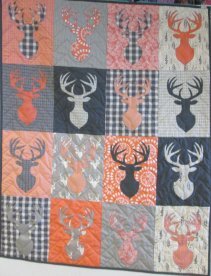 Dabbling in the "crafty" arts most of her life, she started a quilt pattern company in 2006: "Crazy Old Ladies." Today, she continues to design individual patterns and books under the brand, "Emily Herrick Designs." In 2011, Emily joined the team at Michael Miller Fabrics as a licensed fabric designer and has released several fabric collections with them. 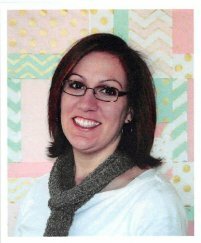 In addition to fabric and patterns, Emily has had several other works featured in a variety of quilting publications and websites. 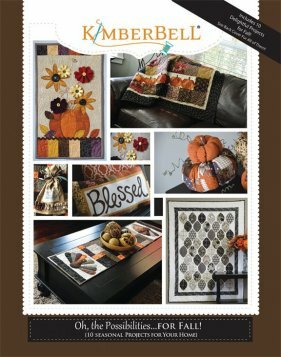 Kimberbell has a new book out with some gorgeous designs that are sure to make your home look beautiful! We can't wait to show you what we have made using this book. 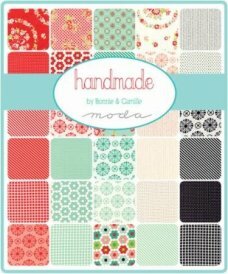 Handmade by Moda comes in Charm packs and Layer Cakes. The colors are so vibrant and colorful. Are you ready to get some projects done? Watch for the Fall class schedule! We are getting this "to die for" fabric in the store. I can't wait. She who has the most wins! The most important tool for quilting is your fabric collection. Build a good stash and then you'll always be able to find that special piece you need to complete a project.